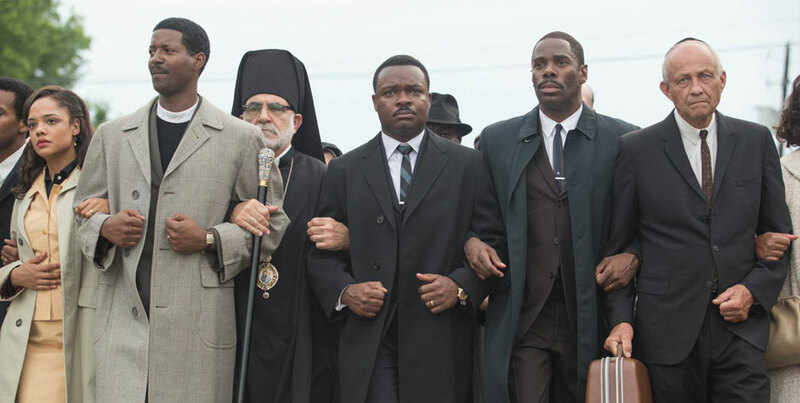 Awards: Selma has garnered four Golden Globe Award nominations, including Best Motion Picture – Drama, Best Director, and Best Actor. Lots of Oscar buzz! 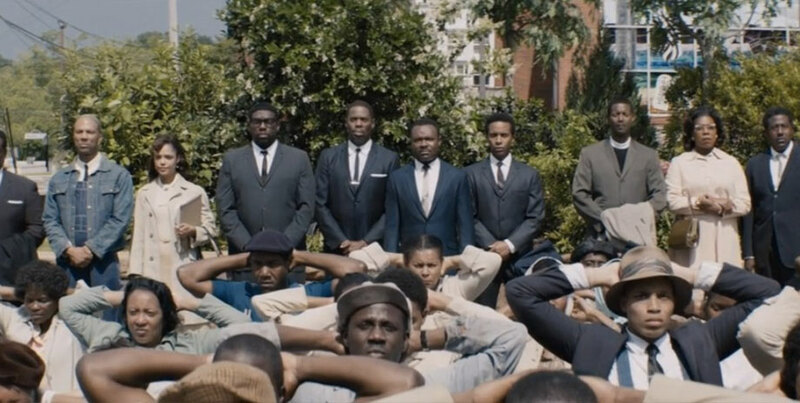 Set during the Selma, Alabama protests—a key moment in the 1960s civil rights movement—Ava Du Vernay’s first major feature Selma is a very old fashioned drama with lots of people making speeches to each other, justifying what they’re doing. While this makes sense for Dr. Martin Luther King, who was a preacher, too many other people speak in similar tone—or worse, as if they are in a very didactic university play. What’s excellent is the conception of King as a person who is quite conflicted. You can see that he’s worried about what he’s doing, getting his African-American flock to protest, knowing that they are facing bodily harm and even death. (The scene recreating the famous “Bloody Sunday” beatings on a bridge in Selma is particularly vivid and terrifying). The relationship between Martin and his wife Coretta is also complex, with both negotiating around the philandering that Dr. King was known to do when the opportunity presented itself to him. Selma’s bad points: the excellent actors Tom Wilkinson and Tim Roth don’t even try to put on Southern accents and don’t feel at all correct as President Johnson and Governor Wallace, respectively. Selma’s good points: The film does highlight an amazingly dramatic time leading up to the passing the Voting Rights Act, which truly brought democracy to the American South. The skinny: This will be a big hit in the States where the Civil Rights Movement is an important time in history. In Canada, it won’t happen in the same way, unless Selma wins a few Oscars. Friday’s at 9:07am on Good Day GTA.